Grant Austin Taylor- Young Strat Wailer!! 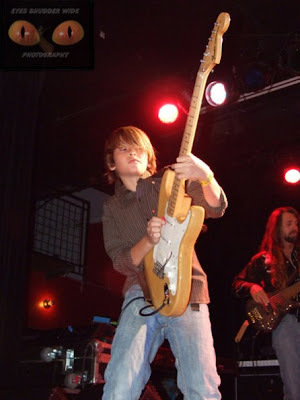 11 year old Grant Austin Taylor, from Norfolk, VA, is simply a killer Blues guitar player and singer. This photo was taken at L.A.'s The Knitting Factory (founded & owned by Steve Vai). Click Here for Youtube videos. 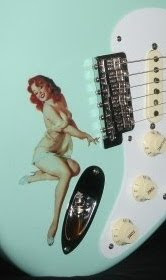 When you check out his performance of The Sky is Crying on the video, you'll know that Stratoblogster takes his Young Guitar Wonders seriously. This kid is a monster!